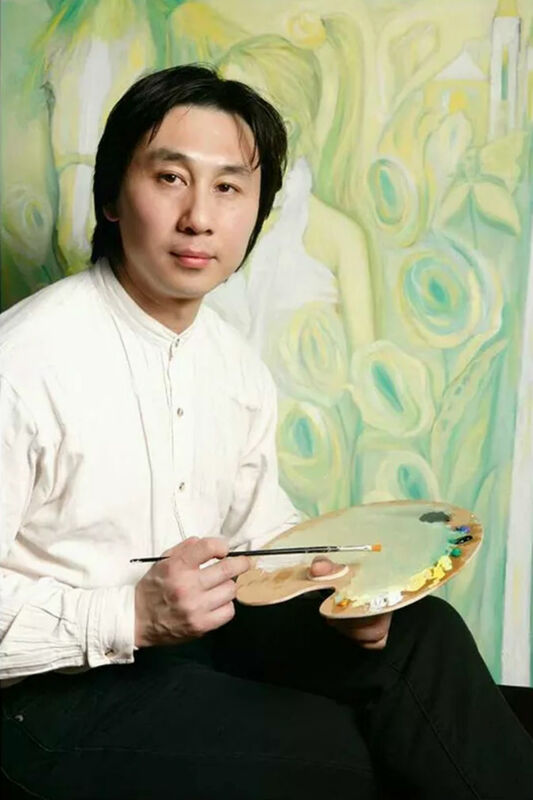 Xu Shi work the new image in the face of the picture, a person's heart will through paint, brush into a nature than to see the wider world, it also is not imagination of the world, is through the materials such as paint, brush to create the world. Therefore, it is visible, it is the inner, so use the word "image" to describe. Evaluation of image art, is to see it show the heart. Hence, the taste, state, such as vocabulary, all can come in handy. One moved to, attracts people with taste, is about image painting to do, because have shaken off the shackles of object tracing. Famous artists Xu Shi new image paintings, using the abstract forms, but in his works is permeated with the elements of Chinese traditional culture. Performance compared to Europe and the United States painter abstract painting tend to all the pictures painted, his picture is very pay attention to the blank space, thin can cook's. I appreciate Xu Shi new image painting style, his picture is not very solid, not everything 倶, this makes the picture with a strong sense of air flow, even can taste some of philosophy, this is the most valuable for an artist. I have seen a lot of European and American painter works, but compared to screen blank white space can stress the rich line change, make the picture more imagination space. Xu Shi is Chinese artists, so in his new image paintings, I can see a lot of traces of Chinese traditional culture, feel the thoughts of philosophy. The new image painting, has its own philosophy and unique feeling, in art performance, is a person's thoughts and emotions expressed. 2004 oil painting exhibition, Beijing. The central academy of fine art gallery.